I learned something very important. I look like a completely different woman with a hat on. Well, I don't think so, but Boone does. That poor little guy froze in his tracks, contemplated why my voice was coming out of some foreign object, and then exited the room like a ninja. That aside, can I tell you about Striped Shirt? 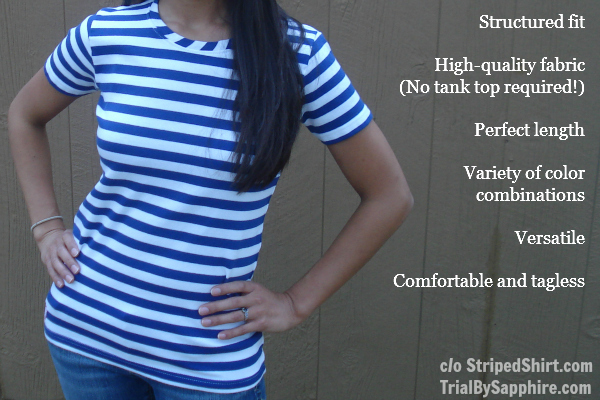 Striped Shirt is based in Houston. Laura Beck created the company in an effort to provide cute, stylish, and fitted options for girls to support their sports teams. I've never been one for the pink, glittered, and rhinestone-enhanced jersey shirts, so I understand that battle! My fan gear options always seemed to be pastel hues & fitted or actual team colors & boxy. Striped Shirt solves my problem! I got a navy and white shirt for my hometown baseball team (and former employer), the San Diego Padres! 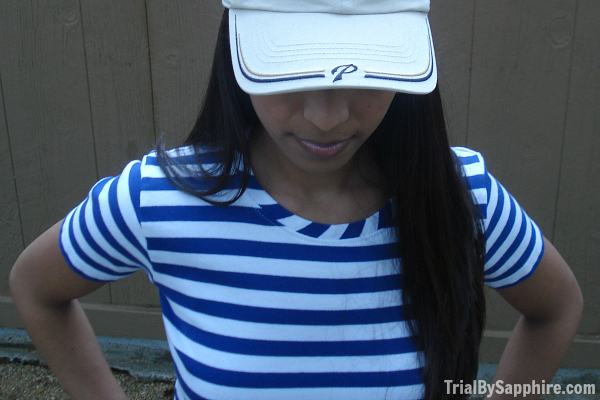 - Stripes are always in, so I can wear this shirt whether I'm at a sporting event or not. - It contains 5% Lycra, so it fits much better than a T-shirt without being skin-tight. - It isn't a paper-thin screen tee that I have to wear a tank top under. Amen to that! - I love the length. It's long enough that it's not a belly shirt, and I'm not swimming in it either. P.S. I really want to buy the Maroon & Gold shirt, so I can have a Harry Potter shirt without it screaming I LOVE HARRY POTTER. It's seems like a sound investment to me. Cute shirt! I like the Harry Potter colors too! And amen to not wearing a tank under tees...WAY too hot for that. Blue is a good color on you, sis! 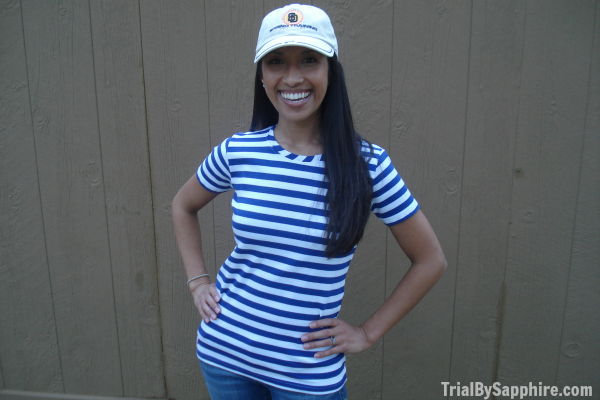 You are ROCKIN' that navy striped shirt girlie! I love it! It looks like it must feel amazing and the fit is just right, as you said. Not too short and you're not drowning in it! But seriously you look so cute!... and I'm with Boone you look super different with a hat on.. super cute just different!! 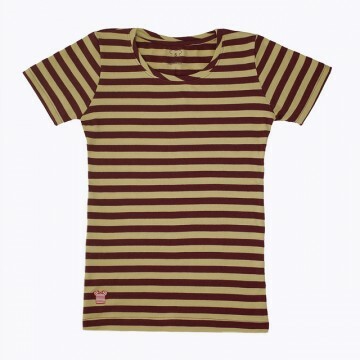 I LOOOVEE stripes! Seriously. James teases me all the time wheneve I buy another striped shirt. I can't help it! It looks so cute on you! I totally want one now. I've never read the Harry Potter books. Brian has them, and has said a few times that they are really good. I think I'm going to have to give them a try! I've been in need of new reading material!